Set in New York City and spanning the Great Depression and World War II, Mame Dennis and her intellectual and arty clique are disrupted when her deceased brother’s 10-year-old son Patrick is entrusted into her care. Rather than bow to convention, Mame tries her hand at a number of jobs with comically, disastrous results but preserves with good humour and an irrepressible sense of style. 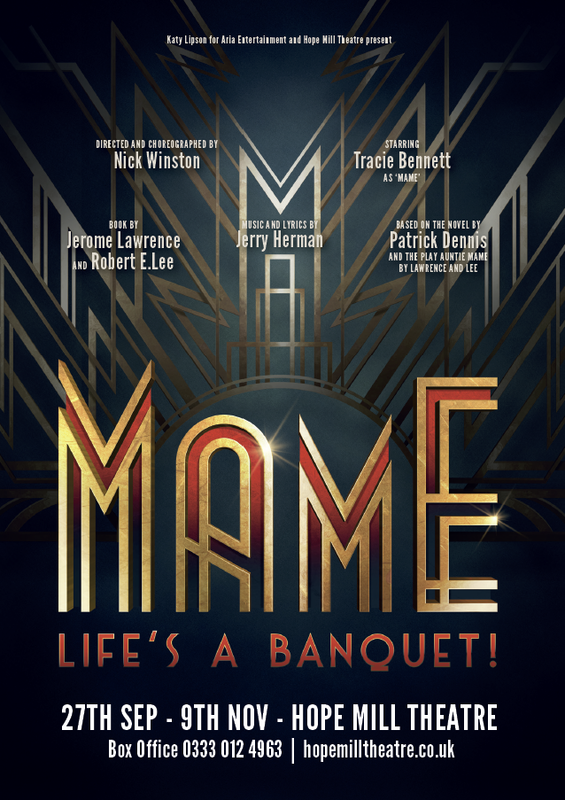 With spirit, humour, class and wit, MAME is sure to thrill audiences for generations to come. Starring Olivier Award winner Tracie Bennett (She Loves Me, High Society, End of the Rainbow, Hairspray, Blood Brothers, Coronation, Scott & Bailey) and directed by the superb Nick Winston (Director and Choreographer of the Royal Variety Performances), this marvellous feel-good musical hasn’t been seen on the UK stage in over 50 years.